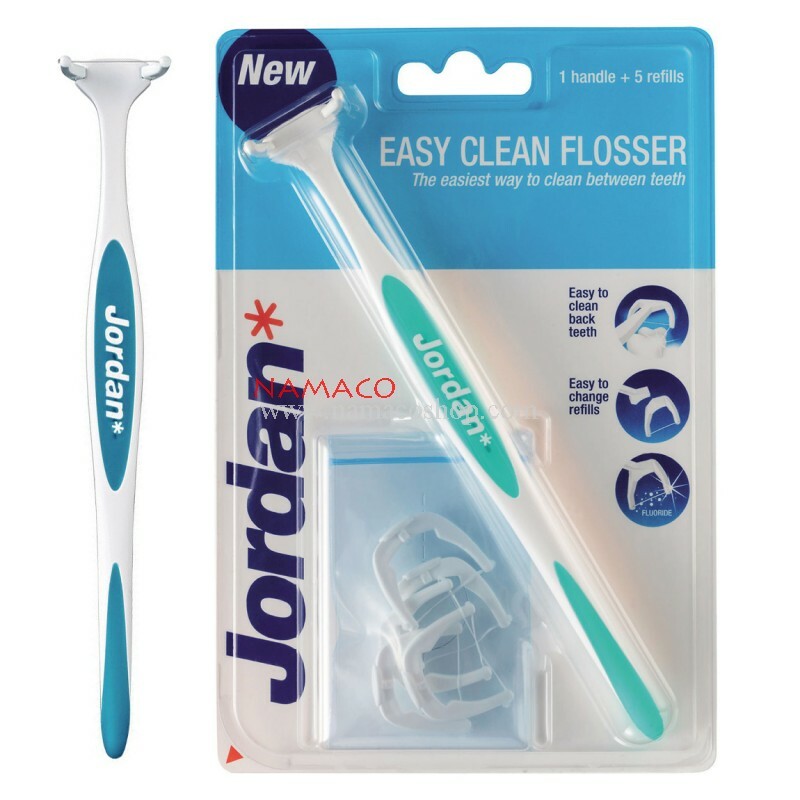 Jordan Easy Clean flosser is designed to make it easy to master flossing between your teeth. The long handle with its rubberised grip is comfortable to hold and easy to move around in your mouth, cleaning all your teeth, especially the back molars well. The long handle also makes it easy to store next to your toothbrush, ready for daily use. Easy Clean flosser starter packs contain extra refill heads. By biting down on the head you are able to slide between very tight teeth in a controlled way, without cutting into your soft gums. Replace floss heads when needed.